Contrary to what some may think, a trip doesn’t have to be extreme to be worthwhile. While spending a year hiking through the Himalayas or a semester sailing the Atlantic Ocean is often immensely rewarding, journeys like these are not the only way to have a meaningful travel experience. In fact, for many people, it’s often easier to learn about the world, foster personal growth, and create life-long memories when you introduce moderation into your travels. This is also true for everyday life itself. Not every journey you take has to be to the top of a great mountain. Some might disagree that is is useful to have moderation in life or travel, but science and personal experience (both mine and that of others) support this claim. But enough talking. 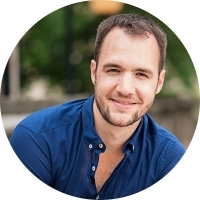 Let me explain exactly how moderation can improve your next trip...and even your life. 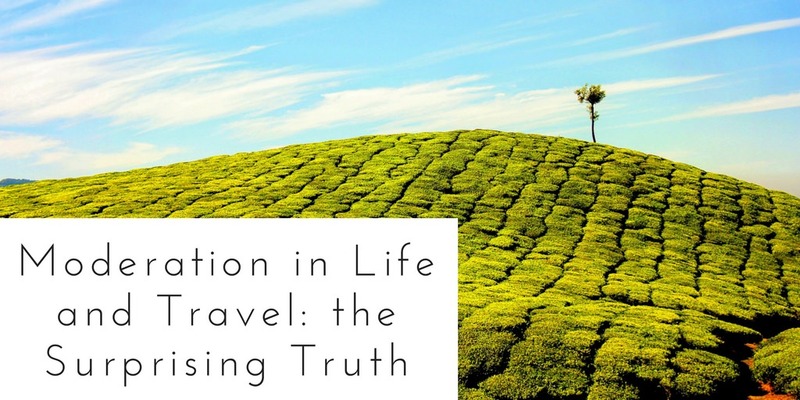 What is moderation in life and travel? We often hear sayings like ‘Everything in moderation’, but what exactly does that mean? What is moderation? And how does it apply to travel and life? Moderation in travel doesn't just mean limiting how many beers (or cases of beers) you drink. While it would be convenient to give you clear guidelines for how long to travel or for what to do, it’s more challenging than that. In fact, moderation is a relative term, dependent on the individual traveler and circumstance for for significance. For someone who regularly takes month-long backpacking trips to exotic locales, spending a summer hitch-hiking through Southeast Asia might not seem like that a big deal. Yet, this same trip might feel quite extreme for someone who has never traveled abroad before. There are tons of incredible things to explore in Southeast Asia, but travel with Myanmar's so-called "Death Train" might be a bit too extreme for some first-time travelers. But why would an extreme trip be a problem? Isn’t it good to challenge yourself? According to the what psychologists call the Yerkes-Dodson Law you need a moderate level of stress to achieve top performance and growth. Yet if your stress levels get too high, your ability to function—let alone grow—drops dramatically. In essence, you don't want to push yourself too hard or for too long. So depending on the individual traveler, that trip to Southeast Asia might be a catalyst for massive personal growth or simply an exhausting experience. How can moderation improve your next trip? There are a number of benefits to avoiding extremes and focusing on moderation while traveling. No matter how much you want to see or do, be sure to give your mind and body breaks when traveling. Travel is generally a healthy activity. It promotes physical exercise, creates positive memories, and it stimulates your mind. But when you push yourself too hard, try to do too much, or travel for too long, you can risk your mental and physical health. And no one wants to spend their hard-earned holiday exhausted and overwhelmed. Avoiding extremes and choosing moderation ensures that your body and mind get a chance to recharge. It keeps your spirt fresh and your head sharp, regardless of whether it’s day 1 or day 20. After all, don’t you want to wake up each morning rested and ready for the day’s adventures? To get the most out of your next trip, give your mind and body and chance to recharge and recover. The pursuit of extreme experiences often makes travel more expensive. Whether you’re splurging on the fanciest hotel in Dubai, joining a climbing expedition in the Chilean Andes, or trying to visit all the capitals of Europe in one trip, choosing extremes can be costly. Moderation, in contrast, usually makes travel cheaper. Choosing not to visit all 50 European capitals in a one-month trip, finding a hotel without an indoor waterfall, and choosing to hike a mountain that doesn’t require oxygen tanks—these all can save travelers serious cash. Often you’ll find that you can have as good of—if not a better—trip when you choose more budget friendly options, like swimming with the locals in the ocean versus hanging out with tourists in the hotel’s pool. 3. Travel is more sustainable. Even the most extraordinary travel experiences become ordinary if they are repeated too soon or often. See a fifty cathedrals while on tour in France, and they will all start to blend together by the end. Eat Tokyo’s finest sushi every night for a week and you’ll eventually want something else for dinner. Spend the evening walking the beach at sunset for a month, and you’ll stop appreciating the colors in the same way. A view like this in Florence, Italy should never not be magical. Unfortunately, there's only so many cityscapes a traveler can see on one trip before they become normal. Making a conscious effort not to overindulge while traveling helps to ensure that our brains don’t become numb to the wonders around us. What can you do to travel more moderately? One way you can promote moderation in your travels is to embrace variety. Don’t make the focus of your trip one thing—say food or art. If you fixate on a particular theme, you’re bound to overlook other worthwhile sights or activities. Instead, allow yourself to explore a number of different aspects of the places you visit, whether they be the culture, the history, or the drinks. 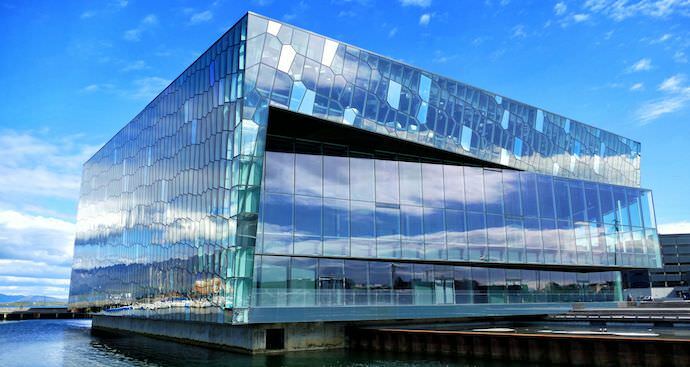 When you explore topics not traditionally associated with a place—like modern architecture in Iceland—you often stumble upon delightful surprises. 2. Have both social and alone time. Just because you’re traveling solo doesn’t mean that you need to be alone all the time. Outside the fact that the people and places you meet while traveling end up being some of the best, most interesting things you discover, it’s also beneficial for your mental and physical health to interact with fellow travelers and locals. Social contact has been proven to boost feelings of well-being, decrease depression, and increase the strength of your immune system—all useful things when traveling. Yet whether you’re traveling solo or with others, it’s important to have alone time. Your mind and body need a chance to relax, recalibrate, and recover. Time alone can be a powerful thing. Give yourself a chance to reflect on what you’ve seen and done without someone else chatting in your ear. Let your guard down for a while, exposing your soul to the world sans the filters and shields we so often put up to protect ourselves while on the road. Write in your journal. Do some yoga. Sing in the shower. These are all useful to do when traveling. For me personally, I like to have alone time at least twice a day when traveling: when I first wake up in the morning and before I go to bed at night. I use these breaks as an opportunity to plan, record thoughts, and reboot my system. Without alone time, I don’t feel like myself, and as a result the quality of my travel experiences suffers. When traveling, I like to spend time alone thinking and writing when I first wake up. 3. Allow for a range of emotions. There’s a tendency among some travelers—especially experienced ones—to avoid expressing negative emotions. They feel that feelings like anger or sadness are signs of weakness that must be eliminated to ensure that a trip goes smoothly. While it’s important for travelers to recognize that you ultimately have control over how you respond to a given situation—and that in general it’s best to react with positivity and calm—that doesn’t meant that you should repress emotions we perceive as negative. Unpleasant feelings are just as much a part of travel—and life—as any others. In fact, they are natural, healthy, and helpful. In short, they make us whole. Unpleasant feelings often have unexpected benefits in the long (and short) run. It’s OK to feel sad if you visit Auschwitz. It’s OK to feel fear if you get lost while looking for places from The Wire in Baltimore. It’s OK to feel tired if you’ve been trekking through the Amazon for 14 hours. These emotions keep you safe, inspire you to be a better person, and they teach you about the world. Without them, your travels wouldn’t be complete. Another way to promote moderation in your travels is to avoid over planning. When you decided all the whens, wheres, and whats of your trip before you leave home, you make your trips less exciting and enjoyable. Avoid the extreme of over planning. Give yourself the flexibility to say 'yes' when you're invited to unique experiences, like this Solstice celebration outside Seattle. Of course, moderate planning is useful, if not necessary. It’s usually helpful to know where you’re going to fly before heading to the airport, after all. Yet, deciding in advance where you’re going to eat every night—that’s a bit extreme. Travel becomes most impactful when it isn’t all pre-scripted. When you force yourself to react in real time to new and exciting situations—so often that’s when lessons are learned and growth happens. Sometimes getting lost pays off with unexpected beauty and insights. Give yourself the flexibility to break from your plans when an opportunity for adventure appears. Allow yourself to follow your interest and instincts to new experiences and unexpected ideas. Block out a specific afternoon or an entire day where you simply wander, with no idea of what you’ll do or see. That’s one plan you won’t regret it. Sometimes when traveling acting a bit extreme is worth it. Moderation shouldn't limit your life. Sometimes it's necessary to be extreme to achieve great things, whether at home or on the road. Want to live like one of the party-going locals in Berlin for a weekend? Then you better be prepared to dance until 8 AM. Want to complete the Camino de Santiago, traveling from France to Spain? You should get used to walking 15 miles a day for about a month. If you’re not willing to occasionally do things that are far from normal, and instead cling to the idea that everything must be done in moderation, then you voluntarily limit the scope of your travels and your dreams. Travel doesn't have to be extreme to be worthwhile. Your next trip doesn't have to involve exhaustion or excess to bring value. For many travelers, it's easier to learn and grow when they avoid extremes. Introducing moderation into your travels—and also your life—allows you to make the most out of your experiences, discovering new insights and developing new skills without being overwhelmed. 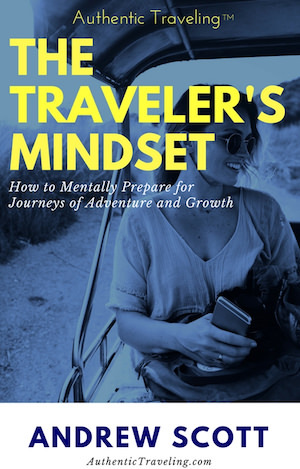 If you'd like to learn more about how your mindset affects your travels, downloading my free pre-travel guide The Traveler’s Mindset: How to Mentally Prepare for Journeys of Adventure and Growth.